The scene is set in the mid 1800. 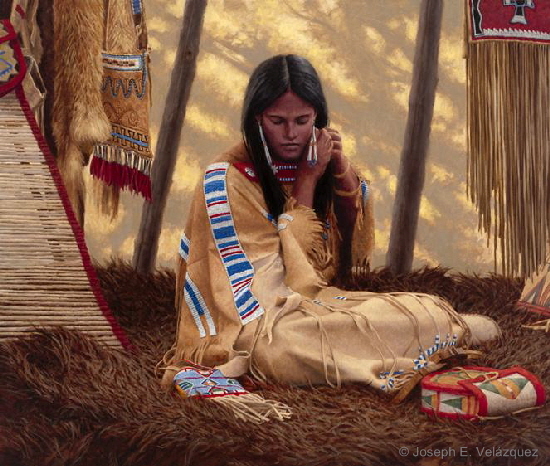 The young woman is of the Blackfoot Nation. She wears her finest dress and prepares to attend an evening dance. The term ”shine” was commonly used during the fur trade era to signify any thing that was good or the best. Sayings such as ”shining times” meant it was the best of times. The items surrounding her are from different tribes indicating they were acquired in trade or plunder.